Walter Cudnohufsky Associates, Inc., in collaboration with Kraus-Fitch Architects, were first place winners in “Sustainable, Equitable, SMART: An Ideas Competition for the Pioneer Valley” sponsored by the Pioneer Valley Planning Commission in 2010. In awarding the prize, judges commended the design for realigning roads for safer circulation, encouraging suitable commercial development, and clustering mixed use buildings. 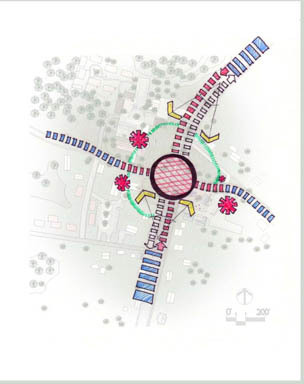 They called the graphic analysis “brilliant,” the overall design “most in keeping with the scale of the village” and concluded “This entry is the best thinking through how you make a village center – it slows people down, makes connections, works for pedestrians. Simple diagrams illustrate the design concepts. 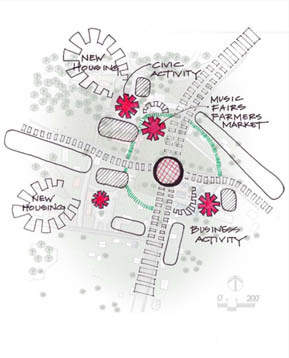 Traffic islands establish gateways, while the new town common creates a focal point for outdoor gatherings and community identity. 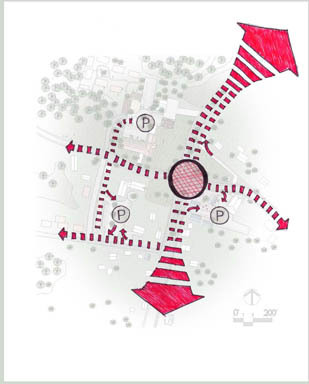 A single signaled intersection simplifies vehicular traffic, while peripheral pedestrian loops provide a safe connection between civic buildings. 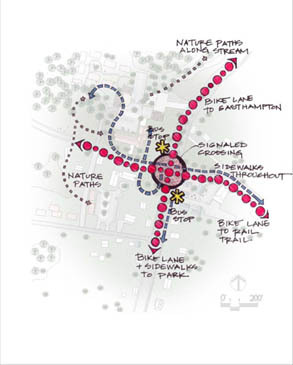 An integrated system of sidewalks and bike lanes connect the village center to public transportation and surrounding open space. 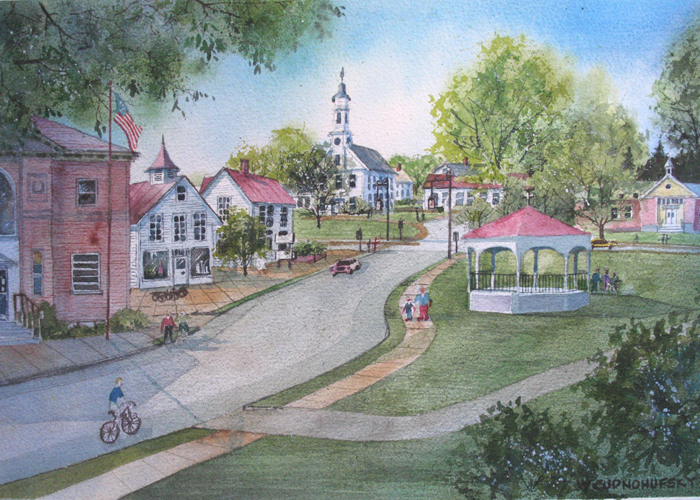 Mixed uses and increased density create a vibrant village center that provides a range of housing options, supports residents with convenient services, and integrates the civic functions of Southampton. 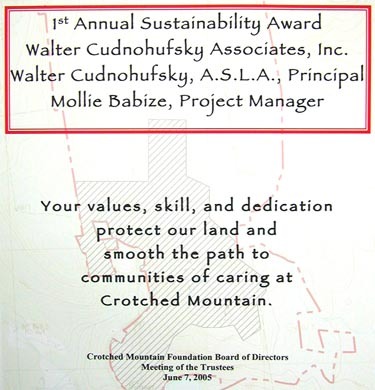 Walter Cudnohufsky Associates, Inc. was awarded the 1st Annual Sustainability Award by the New Hampshire-based Crotched Mountain Rehabilitation Center for their work with architect Bruce Coldham on a master conservation/development plan for CMRC’s 1400-acre campus. 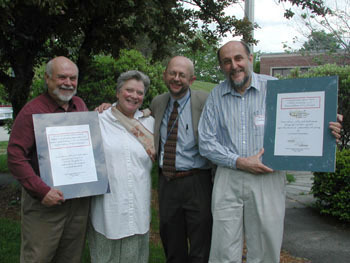 Shown here (left to right) are Walt Cudnohufsky, Mollie Babize, CMRC President Donald Shumway, and Bruce Coldham.